Elon Musk runs a hype machine that never seems to take a break. Hot off the success of the world’s first space launch of a recycled booster rocket, the CEO of SpaceX announced his company will test fly its Falcon Heavy rocket this summer — and would even make an attempt to recover not just the first stage booster, but the rocket’s upper stage as well. On Thursday, SpaceX pulled off a magnificent launch of a communications satellite into geostationary transit orbit aboard a Falcon 9 rocket which had already been flown and landed the previous year. The company managed to land the same rocket again Thursday evening, thereby demonstrating the feasibility of reusable architecture for future spaceflight operations. Musk’s entire vision behind SpaceX is to use reusable technology to drive the costs of spaceflight down in order to develop a sustainable transportation infrastructure for sending humans to Mars one day. Now, SpaceX won’t be using a bunch of Falcon 9 rockets to jumpstart an extraterrestrial colony on the red planet. We’ll need much bigger rockets. And in fact, the Falcon Heavy — which is basically three Falcon 9 rockets put together — won’t be powerful enough, either. 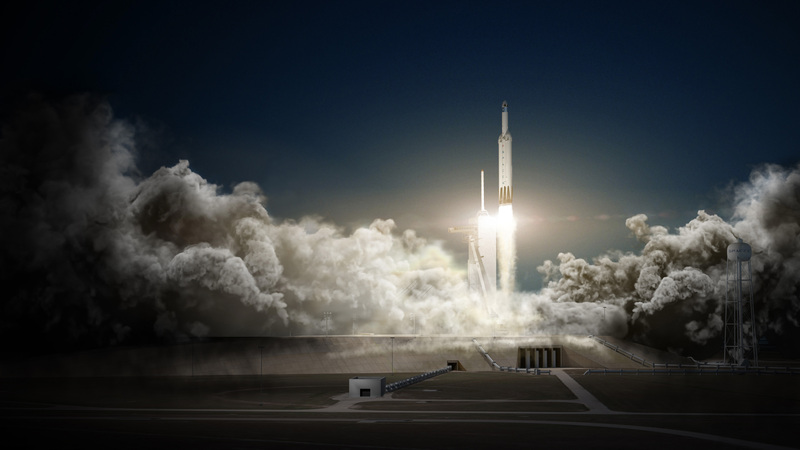 But testing out the Falcon Heavy will be key to helping SpaceX conduct bigger launches out of Earth’s orbit and sending vehicles into deep space, like a crewed mission to the moon in 2018. The bigger the rocket, the bigger the expenses are. A Falcon 9 rocket costs about $62 million. The Falcon Heavy system will be a hell of a lot more expensive — and that’s why it’s critical to turn the entire thing into a reusable technology. That includes the upper stage. This summer’s test will actually comprise of two side boosters which are recycled Falcon 9 rockets launched and landed during previous missions. The chances for SpaceX to successfully recover the upper stage are extremely low, but certainly this is a company that is well acquainted with failure in many forms. So if the company loses the upper stage, don’t worry — Musk and his team are well-prepared to face the bad news.